My family owns a hunting camp up near Atlanta and we go there each year for a week or so. One year, my father invited a few of his friends and their families. The house that we owned was built in the 1800’s and my father had rebuilt it from a ruin. The previous owners name was inscribed at the back of the house in a large stone near the foundation. His name was Albert. 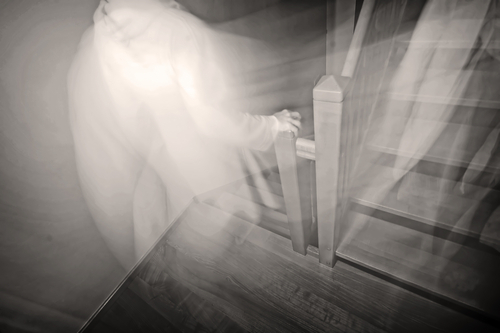 Each year weird things would happen in the house—items would go missing, strange noises, a weird sound that sounded like gunfire—all kinds of things. That year we put some of my dad’s friends and their families up on folding lawn chairs in the den. A few nights into the trip several of the guests complained about a deep, loud scream coming from the living room. One of the guests turned the light on and to his horror found his wife being eaten up by her own chair. The chair was actually bending her body and wrapping around it. It took three grown men to get the chair off her and that family left the following morning. My father always said it was Albert and that his ghost took a dislike to the man. His wife was disliked in my fathers friends circle and maybe the ghost took a dislike to her too?